Phishing – An unsuspecting employee clicks on an email containing malware. This opens the door to an infection behind the walls of your existing firewall, spreading the computer virus with devastating results. Ransomware – A cybercriminal gains access to your network and encrypts your computer files. An extortion message will appear on your screen saying your files will be released if you pay up. Data loss is a huge problem in any industry. IBM sponsored their eleventh annual Cost of a Data Breach study, conducted by Ponemon Institute. This year, the study estimated the cost for each incident of data breach worldwide to be $4 million. That is $158 per lost or stolen record. The Institute placed the likelihood of a breach involving 10,000 data records this year to be at 26%. 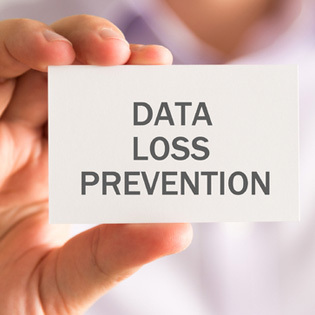 Data loss prevention (DLP) software can stop hackers in their tracks, protecting your sensitive data from breach from outsiders. Gartner says it is the fastest growing cloud technology offered by managed service providers. Managed service providers use DLP software to help prevent both internal and external threats, not only blocking cyber attacks but also helping restrict what data employees can transfer. While DLP software can be offered and an on-premise installation, utilizing Software as a Service (SaaS) options as part of managed service is both, more economical and effective. Management of the DLP protected network happens remotely in the cloud, where it can serve as your solo outsourced security service, or it can supplement your existing security team. Either way, DLP software provides an important protection against cyber threats. Every time your employee opens a client email, your data is put at risk. Our increasing need for cross-company communication and collaboration ups the ante on our risk of data theft. Hackers are continually improving their models in an attempt to successfully steal data. Their efforts are thwarted by cloud-centric DLP software that is updated in real-time as new threats arise. In this instance, the immediacy of the cloud extends real benefits for insurance agencies seeking to stay one (or two!) steps ahead of hackers. Finding a good DLP managed service provider should include services such as hosting and setup as well as maintenance and ongoing monitoring of your network. Keep in mind this is an on-going process that requires tweaking as new threats emerge.